The art alumni of Randolph College find themselves with a variety of professional options after graduation, including careers in media, advertising, publishing, fashion, design, education, or the performing arts, and are prepared to work as professional artists or in museums and galleries. Your professors are experienced professionals who will act as your mentors and guides. In addition, the Art and Art History Department’s Visiting Artist Program means you’ll have exposure to noted artists, critics, and art historians. Imagine the inspiration of working in a studio with high ceilings and a glass wall providing a spectacular mountain view. Or the connection with nature you get working in a painting studio that include decks, terraces, and porches overlooking the Mabel K. Whiteside Greek Theatre (an outside natural theatre designed after the original Greek theatres). Whether you’re painting, printmaking, or drawing, you’ll find that Randolph offers you outstanding facilities in which to create. As a senior, you will have your own dedicated studio space which is available to you 24/7. The Maier Museum of Art at Randolph College is an outstanding resource for art students and majors. Built in 1952 by the National Gallery of Art as a repository for its collection in the event of war, it was renovated in 1977 and now displays the College’s remarkable collection of American art. On Friday, Jan. 25, the Maier Museum of Art at Randolph College will hold a free, public reception from 5-7 p.m. to debut two new exhibitions. Opening that evening will be One Place, Two Views: John Walker and Kayla Mohammadi and an exhibition curated by three Randolph College students entitled Developed and Disturbed: Visions of the American Landscape. 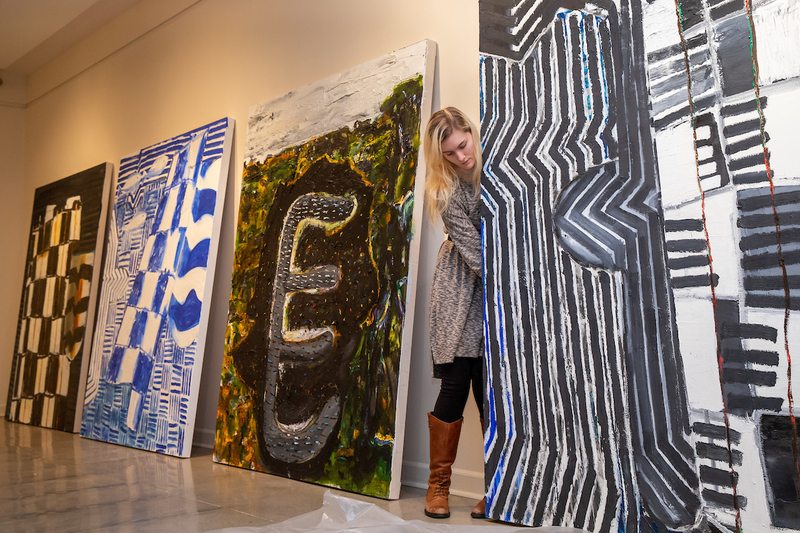 Elisabeth Ayars ’19, Jordon Kirkpatrick ’19, and Sara Primm ’20 produced Developed and Disturbed: Visions of the American Landscape as the capstone for the Curatorial Seminar class. Ranked #18 in the nation by Princeton Review, Randolph’s professors are dedicated to teaching and take pride in the individual attention they provide to students.